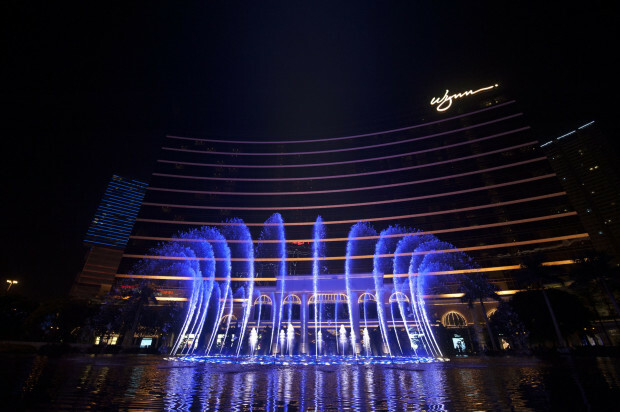 Performance Lake at Wynn Macau, with its commanding presence and vibrantly kinetic expressions, provides joyful and fascinating entertainment for hotel guests, as well as visitors strolling around the entrance grounds and nearby boulevard. 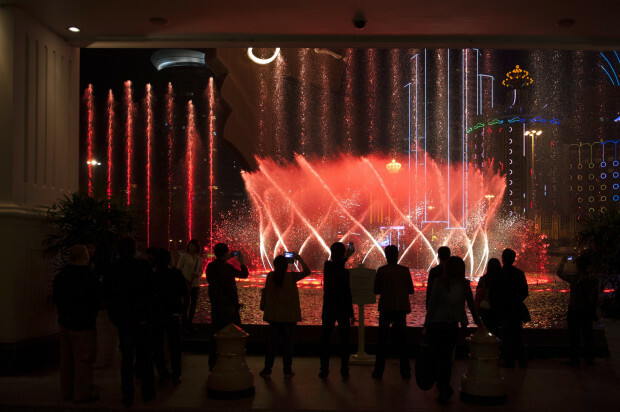 As you approach the hotel, the feature's performers greet you – lofty plumes of water and fire, graceful elegant streams, and dazzling bursts of color and light, all dancing to the music permeating the lake's lush surroundings. 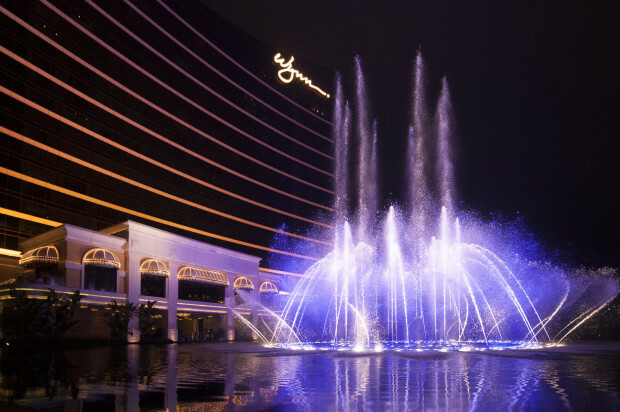 When developing Performance Lake at Wynn Macau, WET sought to create an extraordinary feature that would dazzle Wynn guests and visitors through an enchanting choreographic masterpiece capable of expressing a complexity of moods, rhythms and emotions, ranging from delicate variations to surreal moments to dramatic and arresting events. 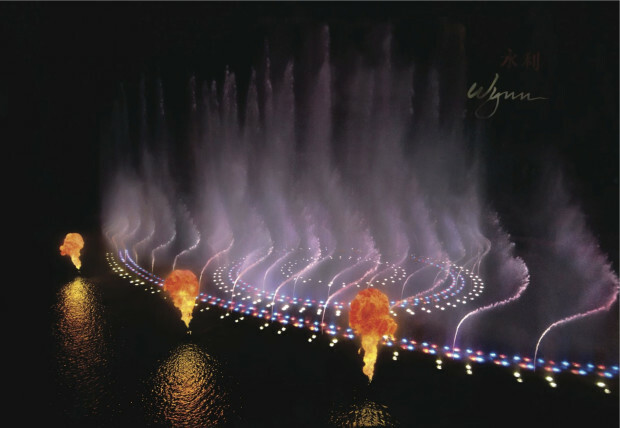 WET’s endeavor was achieved through a rich and dynamic collection of performances in water, light, color and fire, all choreographed to a wide selection of musical works chosen by Mr. Wynn – ranging from classical pieces to popular music and Broadway show tunes. 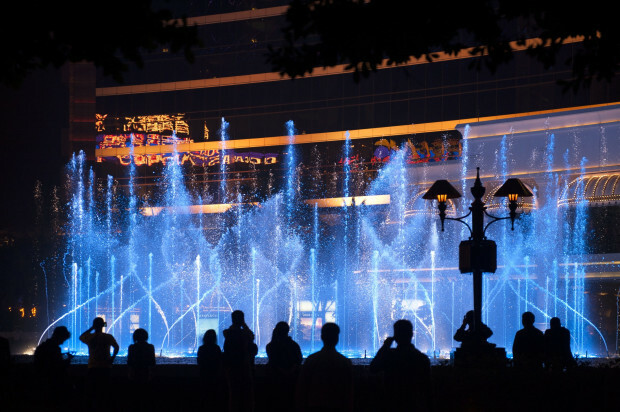 Like all WET projects, every aspect of Performance Lake at Wynn Macau was created in-house by WET’s team of designers, architects, graphic artists, special effects technicians, engineers, animators, illustrators and choreographers. WET’s artists (designers, choreographers, etc.) 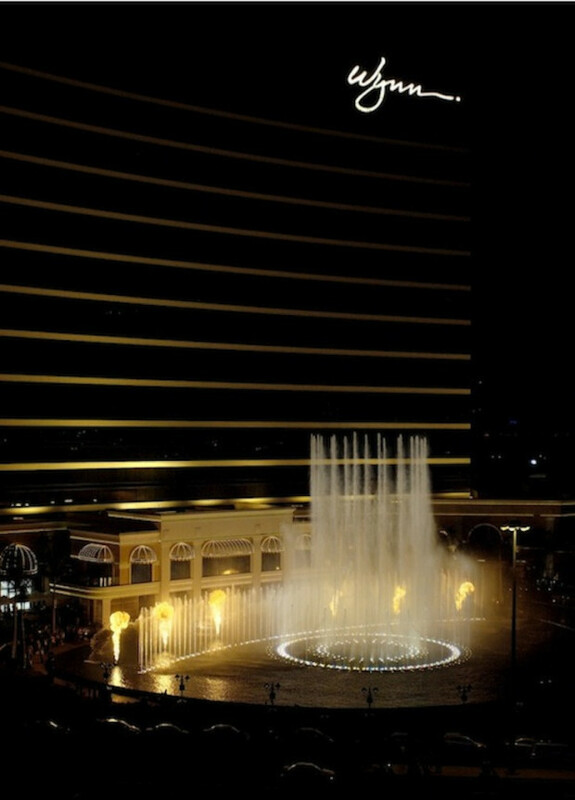 collaborated internally with WET’s engineers to fully realize Wynn’s vision and goals, and WET’s team of choreographers scored various Performance Lake shows to the variety of musical works chosen by Mr. Wynn. Beneath the lake’s surface, WET’s feature houses over 370 water nozzles and shooters, 1,540 individually controlled colored lights and seven imposing fire experiences. From lyrical sweeps to the robust precision of vertical jets, its water elements arise from the basin to capture both the subtlety and grandeur of the music they accompany. The addition of color through programmable lights washes the movements in another layer of emotion, while bursts of fire punctuate the choreography during passionate phrases. The result is a dynamic collection of performances in water, light, color and fire, each unique and expressive of its own musical character.